I just purchased a WI66 PRO Spalted maple top guitar. It has gold hardware with EMG 81/85 pickups. Owner stated there was only 2 guitars made like this. I have only seen a black hardware version with SD pickups and they stated there was only 20 of those. Does anyone know if this guitar is that rare that only 2 was made? I can tell you I haven't seen that configuration before...EMG's & gold tele knobs. And Korean vintage...That's a beautiful guitar. I HAVE seen other Spalted Maple 66's of both Korean and Indonesian origin...those numbers might be true, but only customer service or the shop that knocked 'em out can say for sure. I only show one sku in the system for spaled WI66PRO. We sold 102 worldwide as far as i can tell. It's possible that the 102 had black hardware and there were only 2 samples made with Gold hardware. Where can I find one?! WB-Nick, thanks for the info. This guitar is truly amazing to look at and play. It is flawless. It is my favorite out of the 15 I own. Quality of the Korean guitars is by far better than the Indonesia and China Washburn's. 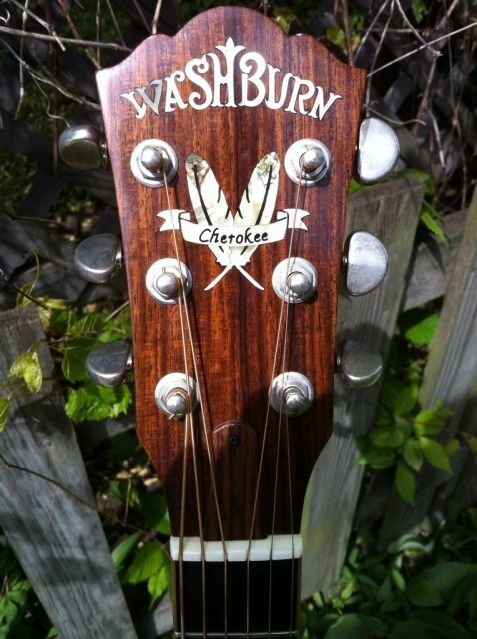 I wish Washburn would make limited-edition runs each year of models like this one for example, that is if they would make them in Korea. I picked this one up for a steal at $350 shipped to my door. It is Not For Sale, so please don't ask. I've got the same guitar, but with different pickups. The only other one I have seen had gold hardware as well, I haven't seen one with the black hardware.